Although open for some time now we still receive enquires about whether consular services are available for Qatar in Canada and it’s always great to pass on the good news. Yes the new Embassy of Qatar is now open in Ottawa and providing consular services. After assisting clients of various professions with their documents using the Embassy in Washington it was a pleasure to pass on the savings of cost and time. We have been attending since its opening, working closely to ensure our clients are up to date on the changing requirements for the attestation and legalization of the various professional and personal documents including university degree, teaching certificate, diploma, report card, professional certificate, birth certificate, marriage certificate ask us about your document. Before we can work with the embassy on your behalf your document must first be presented to Global Affairs Canada here in Ottawa for authentication. They do have requirements depending on the document but not to worry our consultation with you guarantees acceptance. As your document may require extra assistance, our notary services are available followed by our various levels of authentication to meet your time line or budget. Current processing time with Global Affairs Canada is 25 business days but using our services we can shorten this 1, 3 or 10 depending on your time line and budget. 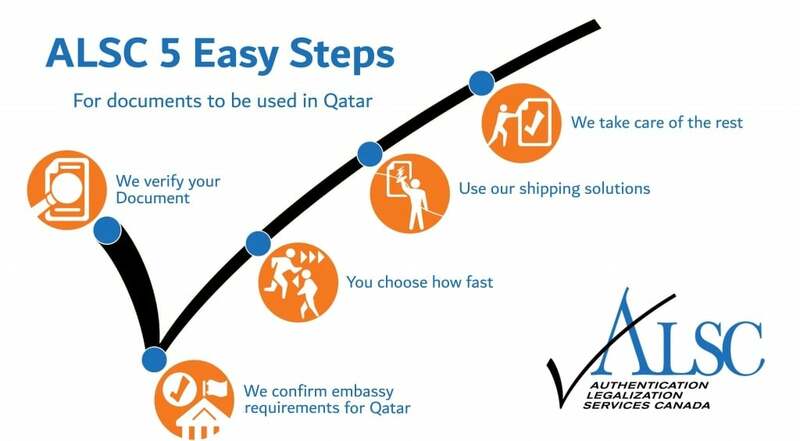 Once we have authenticated your document it will be ready for legalization at the Qatar Embassy. It’s important to note that certain documents have extra requirements and if not followed your document will not be accepted. As an example a Canadian University Degree needs to be accompanied by a set of transcripts that have been authenticated by Global Affairs Canada. 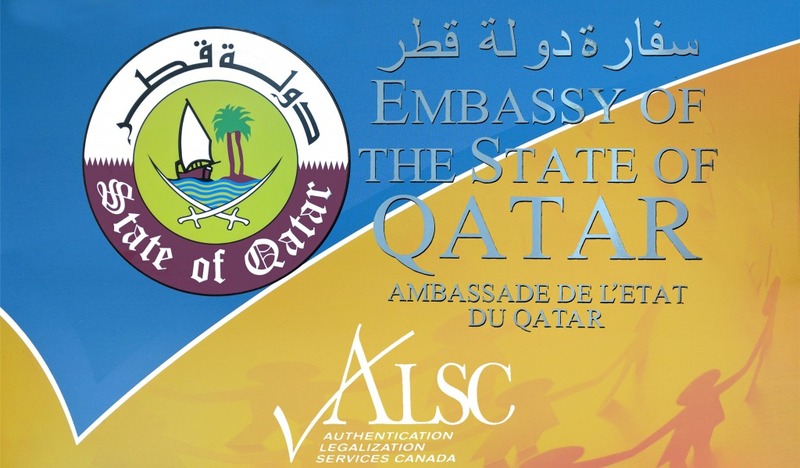 In addition a second set of transcripts must be sent directly to the Qatar Embassy Ottawa by the University Registrar to further verify the degree and complete the legalization process. Our expert assistance will ensure that you are up to speed on any extras that maybe required so it is legalized quickly and without delays. Once your document has completed the two steps it is then ready for shipping back you if you need courier assistance ask about our shipping made easy. If you need Authentication and Legalization services for Qatar we can help.